TUESDAY, Aug. 16, 2016 (HealthDay News) — The use of feeding tubes for nursing home patients with advanced dementia — a practice increasingly discouraged by some national organizations — is declining, a new study finds. One Alzheimer’s expert who reviewed the new findings was heartened by the news. 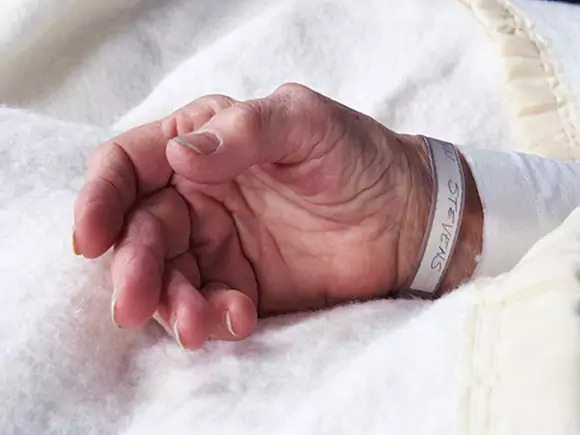 “When we are looking at someone in the advanced stages of a terminal illness, a feeding tube doesn’t make a lot of sense for families,” said Beth Kallmyer, a social worker and the vice president for constituent services at the Alzheimer’s Association. Between 2000 and 2014, the proportion of residents in U.S. nursing homes with advanced dementia and feeding tubes declined from 12 percent to 6 percent, said study leader Dr. Susan Mitchell. She’s a professor of medicine at Harvard Medical School and a senior scientist at Hebrew Senior Life Institute for Aging Research. Although the study doesn’t delve into the exact cause of the decline, Mitchell said there are likely a number of reasons. “The decline roughly parallels the emergence of research, and subsequent expert opinion and recommendations by national organizations, discouraging this practice,” she said. As research has emerged discouraging the use of feeding tubes in advanced dementia patients, national organizations have developed recommendations that reflect that research. At the same time, doctors also began to more widely accept the idea of palliative care (keeping a person with a terminal illness as comfortable as possible), Mitchell said.